Cake Rhapsody on flickr baked a cake for her 9 year old daughter and threw her a Kill Bill themed birthday party. Consider me triply jealous. 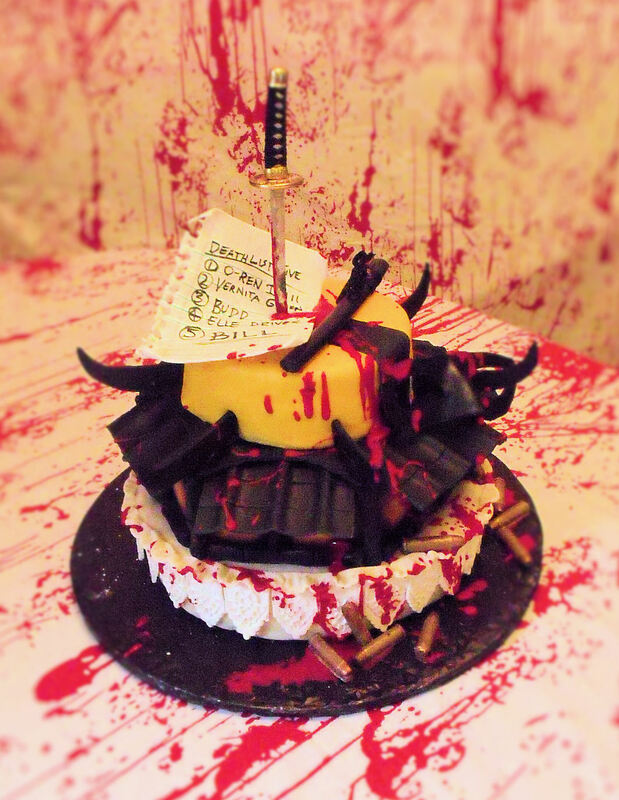 All I ever want for Christmas is a Kill Bill themed birthday party. Please, Santa, make it true? Don't you worry, Cake. Correlational studies concerning the link between violent media consumed and aggression are at best inconclusive, and at worst terribly misleading. Yes, it's possible to raise children on awesome (not to mention artful, female-empowered) Kung-fu flicks and not turn them into serial killers (see: Asian countries on Hong Kong cinema diet). It's not so much what your kids watch; it's what kind of home environment they're watching it in, and what they are getting out of it. Cake does it right: watch with your children, teach them how to grasp a piece of work, and help them develop a full life. If you're so inclined, show them how to channel the more destructive side (we all have that darkness) into something manageable. Then you can have your bloody chocolate cake and eat it too. 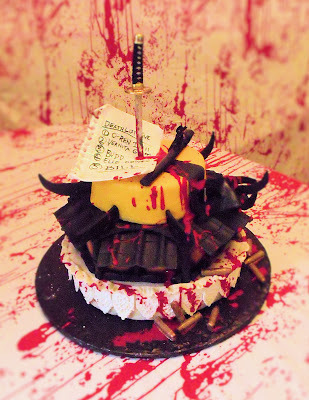 No Response to "Kill Bill Cake: Love, Mommy"